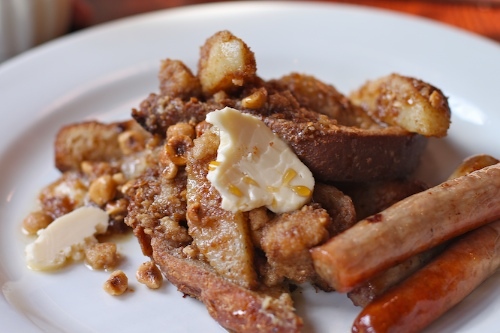 Brioche French toast, roasted pears, amaretto butter, hazelnut crumbles. Aw, yeah. Damn! This is what “not needing words” is!!!!!! Ooh, liking the look of the Old Fashionista. What went into it?